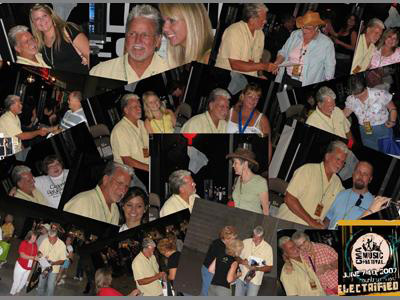 Con and the band enjoyed another trip to CMAFest, also known as Fan Fair, one of Country Music's most spectacular events, where fans come from far and wide to meet and greet their favorite country stars! There are shows and concerts all over town during the event, plus the opportunity to meet artists face to face. If you've never been, you are really missing out on some serious fun! 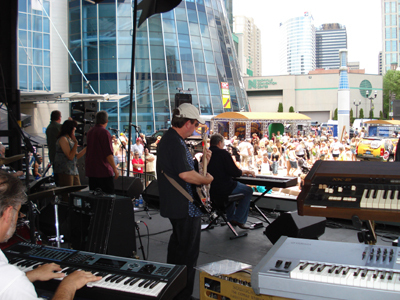 At left Con performs on the Chevy Stage in front of the Sommet Center, formerly Nashville Arena/Gaylord Entertainment Center. Enjoy the slideshows of the performance below. The IMMI crew gets to town the day before the Convention Center opens to set up Con's booth. There is a lot of work involved, transforming a blank cubicle into a fun area for Con to meet and greet his many fans and friends. 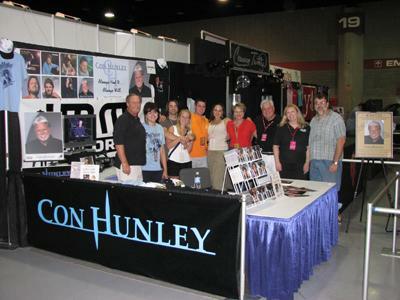 We try to make sure that fans can find anything and everything from Con right here. Oh....and we always have a good supply of chocolate! Now that the work is over, we're ready for 4 days of non-stop fun! 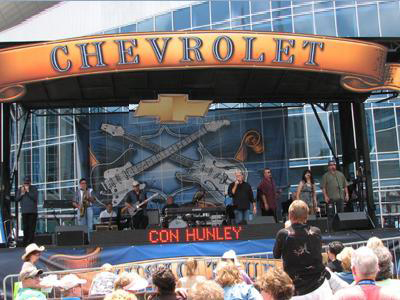 Con performs on the Chevy Stage on Thursday, June 7, 2007. It's a hot day, but with the great music no one minds the heat at all! Con is lovin' it, and it shows! And the crowd is lovin' it, too! A little glimpse from behind the band. Here are some great shots of the guys in the band - Burton, Stan, Tony, Greg, Herby, and Ken. 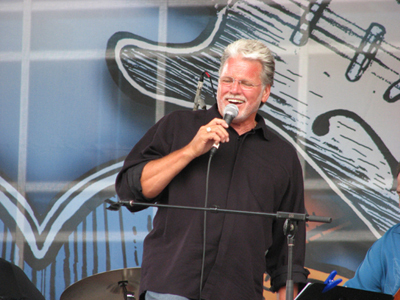 In addition to the regular band, Con was joined by Kirk "Jelly Roll" Johnson on harmonica and Randy Layne on guitar. 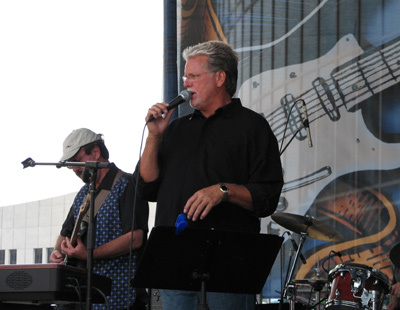 Jelly Roll and Randy toured with Con for many years, and it's always great when they have an opportunity to join in! Con's set is filled with his great classic hits like "Oh, Girl" and "Weekend Friend" as well as some of his latest crowd pleasers like "She Ain't You", "That Old Clock", and "Hollow Man" - all of which went to Number One on the Indie Charts! And of course, Con's brothers and sister are here for all the fun! All in all a great day at the office! 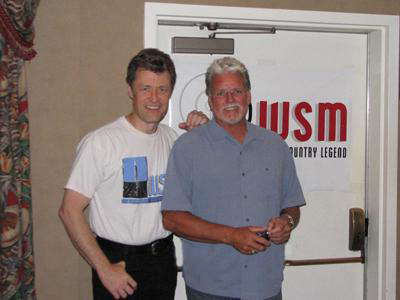 Con is up bright and early to make a visit to legendary WSM Radio for an interview with Bill Cody. Con and Bill have developed a great friendship over the years, and when they get together they enjoy sharing as much laughter as they do music! Immediately following the radio interview Con heads to the Convention Center to greet fans. Folks rush to get in line at Con's booth! It's already wall to wall fans, but nobody seems to mind. It's all part of the excitement that is Fan Fair! 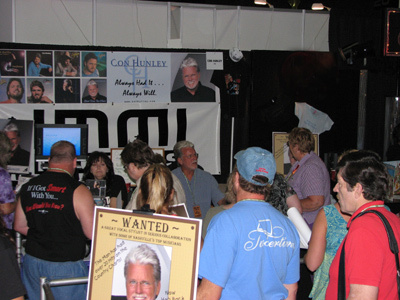 During the day Con takes a few minutes to be a guest at the GAC booth, where again he meets up with friend Bill Cody. Later the two of them visit with good friends Ralph Emery and Lorrie Morgan at the RFD-TV booth. CMAFest is a great opportunity for stars to catch up with each other, too. This is the only place where so many artists are in one place at the same time, so they all try to find time to squeeze in a hug and howdy for each other. Another fun day of meeting and greeting friends and fans gets underway. The crowds are always amazing - this really is Country Music's most exciting celebration! Enjoy this great slideshow that is really just a very small peek of the number of fans that made their way through the lines and crowd to see Con. They come from all over this great country, and from abroad...fans of all ages and all walks of life make their way to Music City USA. Our last day at the booth starts off with a big smile and a hug from a new Con fan! 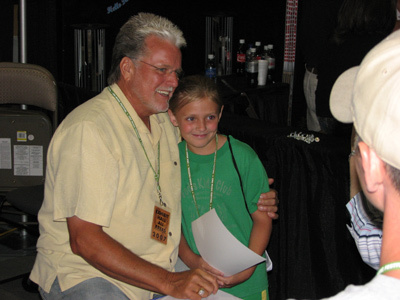 Con's music and his vibrant personality draws fans of all ages! Hot new artist Ashley Monroe stopped by to say hi to Con. She and Con hail from the same hometown of Knoxville, TN. Later Con caught a minute with Carrie Underwood. Both ladies are just as gracious and lovely as they are talented. The fans continued to pour into the booth even as this great event began to wind down. The enthusiasm and thrills never die down...even as Con exits his booth for the last time he gladly stops for fans seeking a photo or autograph, or one last hug. Even though a throng of people descend upon Nashville and the Convention Center during CMAFest, that does not deter our friends with special needs. As this great event comes to a close, here are images of Con taking special time with a few of these enormously spirited, die-hard fans. Hope to see you next year at Fan Fair!